Neil Johnson is originally from Puyallup, Washington and has played poker since his family discovered he was willing to risk his allowance. Neil first went to Las Vegas for his 21st birthday and by the late 90’s he was cutting his poker tournament teeth on the $20 dailies at the Orleans. An injury forced him out of a career in the book industry (a continuing passion), and while searching for a new career he tried his hand at acting. Neil enjoyed theatre immensely and won a few awards, but it didn’t pay the mortgage. While rehearsing for a new play, he played at the Muckleshoot Casino in Washington. In two weeks he won $1,000 and then promptly lost it playing $4/$8 Limit Holdem, Omaha and Stud 8. He noticed that the best dealers made some good money and since he knew the games and was looking for a new career, why not learn how to shuffle and pitch! Within a few weeks Neil started dealing poker at a small 4-table room and soon he was working seven nights a week at five different rooms and loving it. One fortunate step after the other found him on the international tournament circuit, thanks in large part to a recommendation by Peter Fisher to Jan Fisher and Linda Johnson of CardPlayer Cruises. From there he met Meg Patrick, Matt Savage and Thomas Kremser who were of great help as Neil worked his way around four continents as a member of tournament staffs for virtually every poker acronym and online site. In 2006, he had a unique opportunity thanks to Scott Wilson to move to Costa Rica and become the Poker Room Manager for Paradise Poker. He sold his house, put everything in storage and just days before moving, five letters put a bad beat on his new job: U-I-G-E-A. Over the next two years, Neil returned to the international tournament circuit and built a strong relationship with PokerStars and their Live Events team. After working on many of their tournaments, commercial filming, and special events, another unique opportunity arose by the departure of the fantastic Lee Jones. 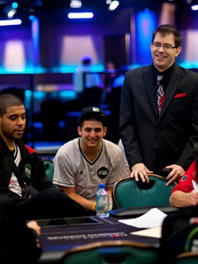 Neil stepped into Lee’s tough-to-fill shoes in late 2008, starting as EPT Event Host and Player Liaison. In that position he revolutionized the tournament schedules of the EPT and PCA, bringing a variety of new game types to the live scene. He was also challenged with unifying the tournament rules across the EPT, PCA, APPT, LAPT and NAPT and all PokerStars sponsored National Tours. Over the last five years his position has evolved into Head of Live Poker Operations for PokerStars Europe. Neil and his incredibly talented team work hard to ensure that the highest standards are maintained across all PokerStars sponsored Live Events. Neil has always been interested in making tournament rules consistent and fair. From his unique vantage point across the globe, he has seen in glaring detail the challenges that face both players and staff when rules change from place to place. Working with all of the fantastic Tournament Directors at PokerStars has sharpened his resolve to pursue standardized rules. Neil first attended the TDA Summit in 2009 and greatly enjoyed seeing everyone working to create a living, breathing set of rules to make this game we all love even better. 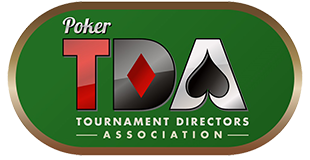 The TDA’s goal of standard rules for the global poker community is something both players and tournament management should strive for. Neil looks forward to working closely with the members of this great organisation to come up with the right answers everytime someone says “Floor”. You can follow Neil (@NeilJPoker) and keep up with his hectic European Poker Tour schedule (@PokerStarsEPT) on Twitter.